When you need new dentures and cannot afford them, it can impact your health as well as your confidence. Not just from the difficulties in eating, talking and smiling, either. Not being able to pay for new dentures can be a stressful experience. However, there are many different ways in which you can get free dentures or low-cost dentures. Because dental care is typically not considered an affordable form of health care, it is natural to assume that false teeth will be expensive. As it turns out, basic dentures are priced in the range of between $300 and $600. If you happen to have a low or limited income, even those are not considered affordable denture prices. If this sounds like you, then you may be in luck. In this article, we will review the most common options available outlining the services provided and some of the eligibility requirements. Keep in mind that this is a general overview. For specific details for your individual needs, click on the links provided so that you can conduct further investigation on your own. You may be in luck and discover a program that will either cover your costs or at least greatly reduce your cost of dentures. There are clinics that make any dental procedure affordable for all and includes free or low-cost dentures as part of the process. Part A is a hospital insurance component. This covers such things as inpatient hospital visits, nursing facility care, hospice and selected home health care. Part B is medical insurance which covers the cost of selected medical services and outpatient care. Part C is the Medicare Advantage Plan which is essentially a plan offered by a third party private insurance company that contract with Medicare. This kind of plan offers all of the Part A & B benefits plus some additional benefits. Part D provides prescription drug coverage to different parts of the Medicare program. The eligibility requirements for Medicare are basic. It is designed for individuals who are 65 years of age or older as well as some younger people with certain disabilities. If you have permanent kidney failure that requires either dialysis or a transplant, you will also be eligible for Medicare. A joint federal and state medical services plan in the United States is known by the name of Medicaid. It is designed to assist with medical costs for those who have limited income and resources. It also provides several benefits that are not offered through Medicare including personal care and nursing home care services. PACE is a program of Medicare and Medicaid that is aimed at the elderly. The main component of the program is to provide elderly patients with the healthcare they require in their home community. This keeps them from having to seek the same services in another care facility or nursing home. 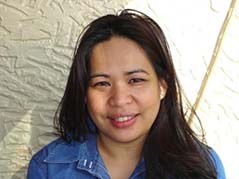 PACE focused the attention on the individuals it services and requires a monthly premium. Program-preferred doctors work with patients to make sensible health care decisions. This may also include the provision of free dentures for seniors. The qualifications for PACE are fairly basic. You must live in the area serviced by a PACE organization and be 55 years of age or older. If you are in need of nursing home-type care and can still live safely in your home with PACE assistance, you may qualify. Having either Medicare or Medicaid does not affect eligibility and you can leave the PACE program at any time without penalty. 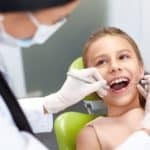 There are many different variables related to private dental insurance, however, the average costs are about $350 per year for individual coverage and $550 a year for family coverage. Dental insurance premiums are generally paid monthly. In comparison, dental savings plans are roughly half the cost of dental insurance with premiums paid annually. The most common component of private dental insurance is the use of a deductible. This is a small amount that must be paid before insurance coverage takes over. The deductible amount will vary from policy to policy but is not much more than $25 to $50 per person covered by the plan. Dental insurance plans have a reimbursement cap. This is the amount that the insurance policy will pay back to the insured person for dental services performed. The caps range from $1,000 to $1,500 per year and will vary depending on the exact policy held. 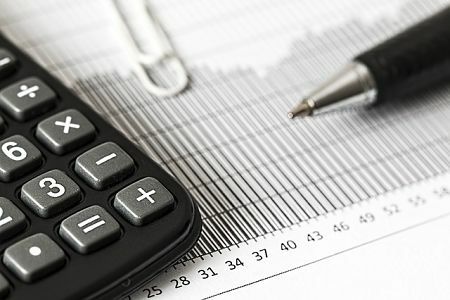 Dental savings plans, on the other hand, do not have annual reimbursement caps. With some research and investigation, you may be able to find free or low-cost dentures. There are many clinics that offer Free/Low-Cost and Sliding Scale dental services. Sliding scale is a payment schedule that contains set fees and discounts that are matched with the financial ability of a patient to pay. This makes any dental procedure affordable for all and includes free or low-cost dentures as part of the process. Student doctors supervised by licensed faculty dentists are a source of quality and affordable dental care. As the students are not fully qualified, they require ‘real world’ experience. If you are in need of dental service you can receive it and in most cases pay nothing or a reduced rate for the service. The Remote Area Medical (RAM) Program provides free dental and other medical services for individuals who are underserved and uninsured. The mobile medical clinic has a network of over 120,000 Humanitarian Volunteers who have delivered in excess of $120-million in free health care services. These services include dentures for low-income residents. As is the case with all other programs, eligibility requirements exist. The Mission of Mercy was formed in 1991 and offers free dental care and additional medical services to those who are underinsured, uninsured or do not qualify for other programs. Based in Pennsylvania, this faith-based organization has 19 clinics in four US states which have provided close to 25,000 no cost patient visits annually. With any of these programs, be sure to check first to clarify what services are offered, including false teeth. They may also serve patients on a first-come first-serve basis. Mobile clinics move from place to place which may be beneficial depending on your place of residency. 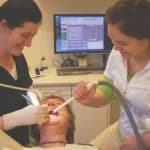 Here is a short review of a number of programs that have been developed to provide dental services for people who may have no other option available to them. Public and private programs have eligibility requirements that not all can qualify under. As a result, charitable organizations have responded with programs to reach these residents who still need medical attention but do not meet other program requirements. As is the case with existing government and private programs, you must be eligible in order to qualify for these services. 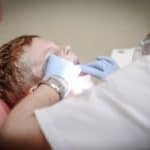 Formed in 1985, the Donated Dental Services (DDS) Program has assisted over 117,000 people and provided more than $330-million in donated dental services. The program is designed to treat people with disabilities, the elderly and medically fragile who cannot otherwise afford dental care and do not qualify for public aid. The DDS program provides eligible patients with free and comprehensive dental treatments. Volunteer cosmetic dentists in the United States and Canada participate in the Give Back A Smile Program. It is designed to treat dental injuries sustained from domestic or sexual violence. Eligible patients can receive treatment if a volunteer dentist is within 200 miles of the applicant. Over 1,600 smiles have been ‘given back’ at a donated dental service value of more than $16-million. The network keeps growing and adding dentists from areas not already serviced. To be sure if you live in an area with this service, visit the website noted above for details. Established in 2001 in Alexandria, VA, the National Association of Free & Charitable Clinics (NAFC) is a grassroots organization. 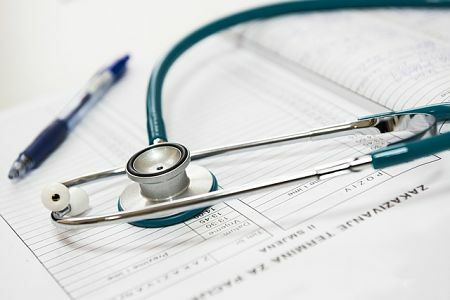 It has pooled together medical providers and organizers working to ensure that those who are underinsured, uninsured or identified as working poor could receive local health care at an affordable price. The larger goal of NAFC is to advocate for quality health care for all who do not otherwise have access to it. This encompasses all forms of medical service and includes the provision for cheap false teeth for those who qualify for them. The alternative to traditional dental insurance is a dental savings plan. As a member, you pay an annual fee which gives you access to participating dentists who provide discount rates for their services. This kind of plan essentially provides savings similar to that of a dental insurance program without the complexity of restricted qualifications. Savings range on procedures but are anywhere from 10 to 60% off the regular cost. Dentures can be costly regardless of who pays the bill but thankfully there are many ways in which you can receive reduced cost or free dentures. Programs and coverage plans are designed to meet the needs of those individuals requiring various levels of medical service. In fact, even if you are unemployed, uninsured or on a limited income, there is a program for you. There are federal programs, joint federal and state programs as well as dental insurance or savings plans that all provide ways to receive low-cost false teeth. For the elderly or persons with disabilities, additional programs exist to meet their specific needs without placing financial burdens on them. Plus, anyone who does not qualify for these programs still has options available to them. From sliding scale to low-cost and free dental programs, there is a match for virtually everyone in need of affordable dentures and dental care. All you need to do is a little bit of research on your own to find the program best suited for your situation. 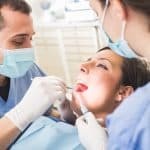 Hopefully, we have been able to remove some of the stress from your life related to paying for dentures with this list of options. Not all of them will provide the same kind of reduced cost for false teeth, so it is important for you to investigate the leads here in order to find the best fit for restoring your smile. 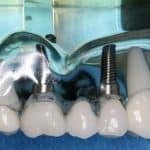 Mini Implant vs Dental Implant – What Is The Difference?